* Senior club appearances and goals counted for the domestic league only and correct as of April 1, 2016. Alain Kaluyituka (born January 2, 1987) is a DR Congo association football player who is currently playing for Muaither SC on from loan Al-Gharafa in the Qatar Stars League. He has represented his country Congo DR 30 times, scoring 9 times. He has also represented his former club TP Mazembe in International football in both CAF Champions League and the FIFA Club World Cup. Dioko was born in Kinshasa and in 2004 was signed to Linafoot club AS Vita Club for whom he played for 2 years. He would then transfer to TP Mazembe in 2007, where he would immediately find success. He played for the club in the 2007 CAF Champions League in which they reached the final 16 qualification, before being knocked out by FAR Rabat. During the 2008 CAF Champions League he played for the club, but they were knocked out of Group B, finishing third overall. Their ultimate success came during the 2009 CAF Champions League, which Mazembe won. Dioko received the Golden Boot, having scored 8 goals. This meant that for the first time ever TP Mazembe qualified for the 2009 FIFA Club World Cup. Dioko was part of the squad that participated in the FIFA Club World Cup, where they found limited success, finishing 6th of 7. He scored the second goal in the semifinal of the 2010 FIFA Club World Cup, where TP Mazembe defeated Internacional of Brazil 2-0 to become the first team outside Europe and South America to reach the FIFA Club World Cup final. He was awarded the Silver Ball at the tournament. In 2011, Dioko signed a three-year deal with Al-Ahly Doha in Qatar, wearing the No.15 jersey that he already had in Mazembe. While finalizing the transfer, a dispute erupted between Mazembe and Al Ahly. FIFA ruled in favour of Al Ahly and declared the player eligible to play in the Qatar Stars League. In July 2012, Dioko was loaned from relegated Al Ahly to Al Kharaitiyat on a season-long deal. He transferred to Al Gharafa in July 2015. 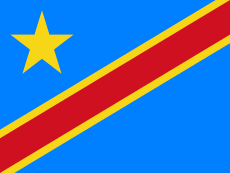 Dioko has represented DR Congo national football team 10 times, scoring 3 times. All of these matches were during the 2006 FIFA World Cup Qualifying. ↑ "Al Ahli to unveil new Congolese signing Firmin Ndombe Mubele to media". Qatar Stars League. 8 July 2015. Retrieved 24 July 2015.